The second book starts where the first left off. The girls leave Hawaii and arrive at Catie's home in New Orleans. There they meet Ares's sister, Athena. The girls are not sure if they can trust her even though Catie's parents seem to, but Athena is there to help teach the girls self defense and fighting strategies. The princesses also hear about an oil spill near Alaska and are concerned for the animals and want to find a way to help. 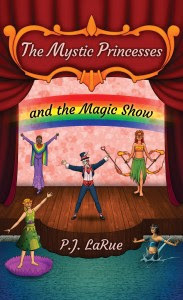 They decide to use their talents in a magic show to raise money for the clean up of the oil. 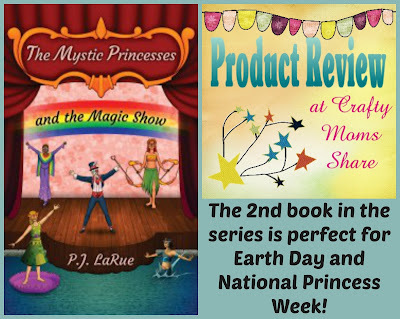 With all of the excitement and action of the first book, the second book introduces us to New Orleans and continues the story of princesses who are not only willing to risk their own lives to protect a friend who can help bring world peace but also take action to help save animals. These are the role models I want for my daughter. Plus not only do they explore New Orleans they also get to explore Alaska. The book introduces and teaches the reader about both places as well including the Northern Lights. The girls even use their special talents to help the animals find safety while they are in Alaska. The even better part is watching Hazel get so excited over a book. She LOVES the Mystic Princesses and tells me any time I pull the book out to read to her. Yes, she jumps up and down when she sees the book. She even named her new mermaid purse Coral after the princess who is a merson (mermaid and person). The mermaid purse is from Gymboree as part of the Tide Pool line. 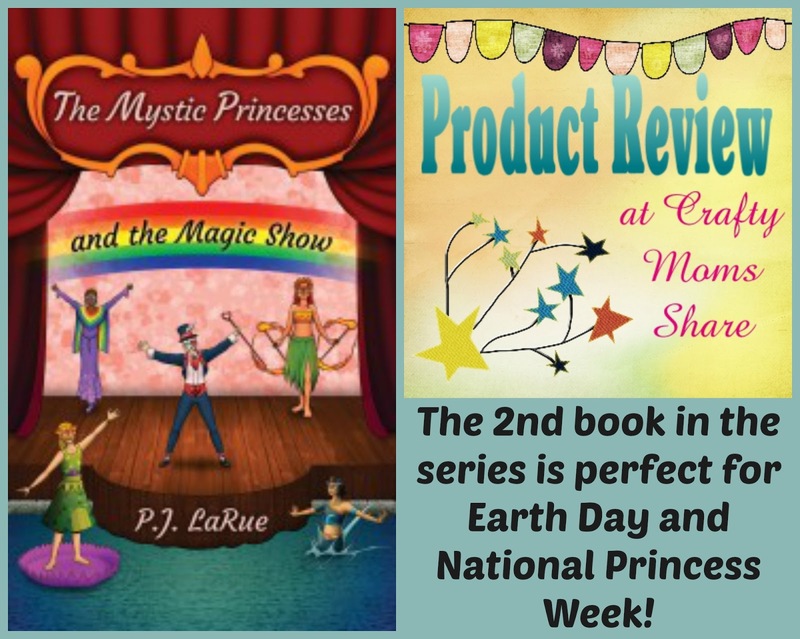 So if you are looking for a fun chapter book series to give your child a magical role model check out this amazing series. We are really enjoying it and think you will as well. Be sure to check out this fun new line at Gymboree as well and of course Hazel's new favorite line -- Fruit Punch (fruit and flamingos in one line).